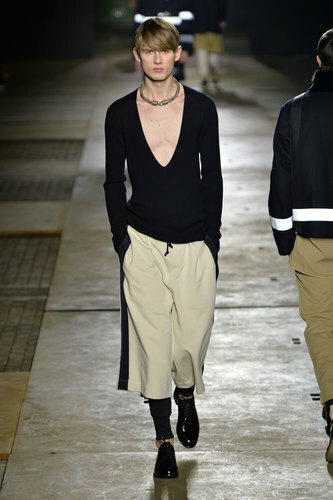 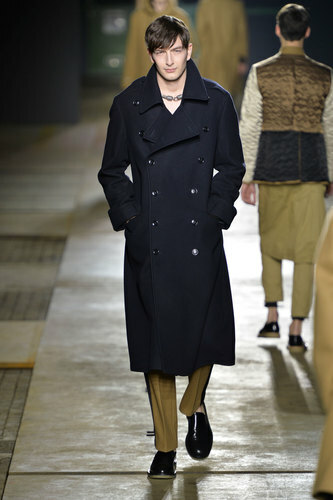 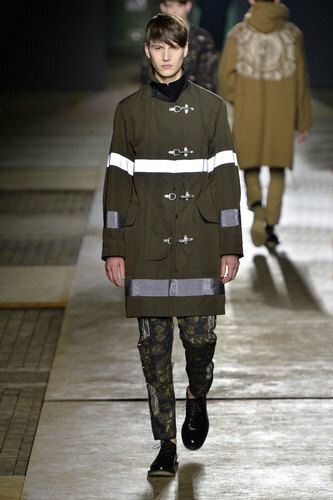 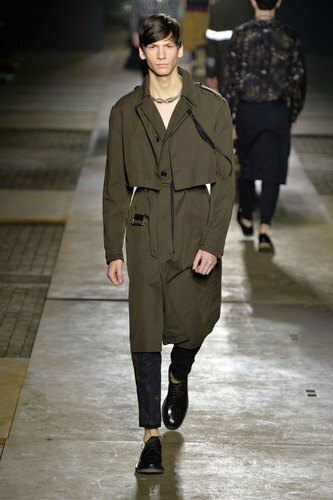 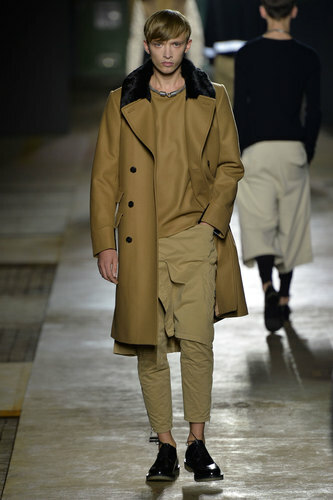 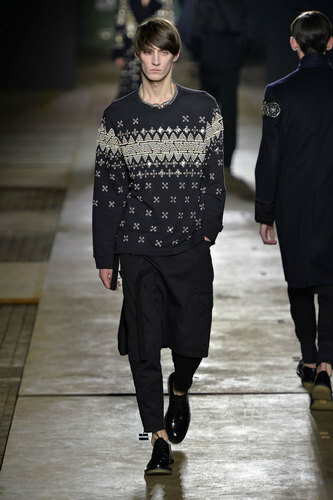 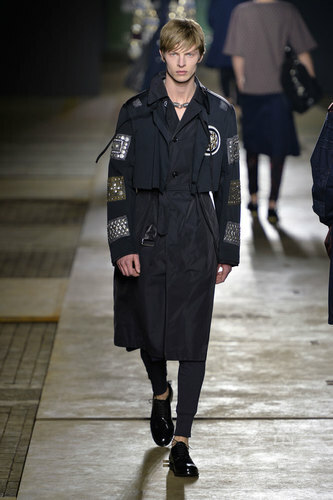 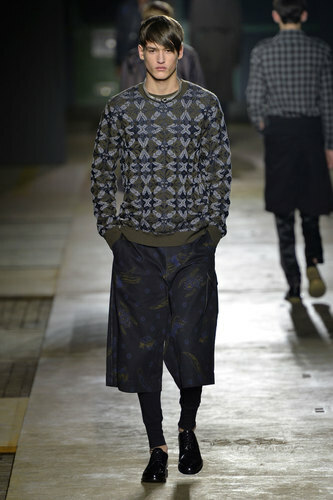 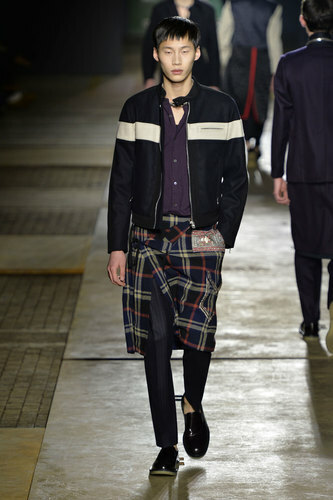 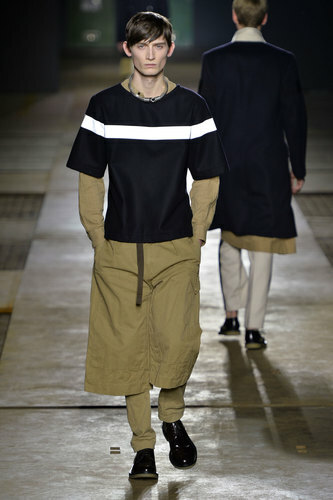 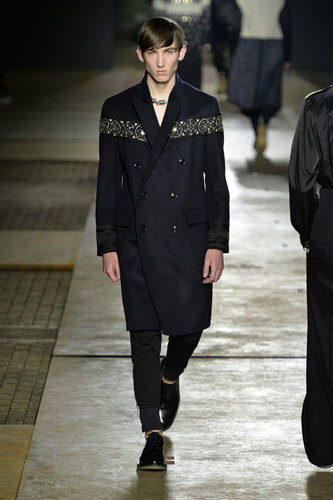 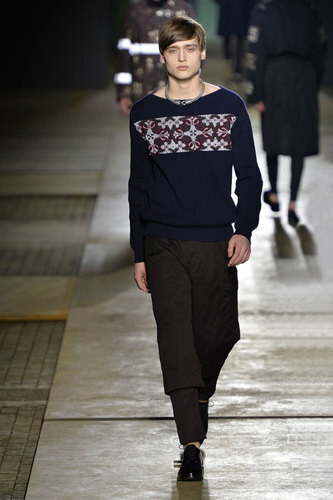 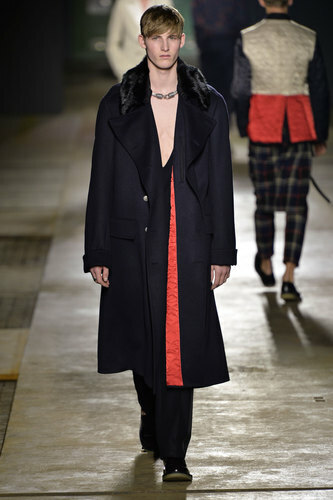 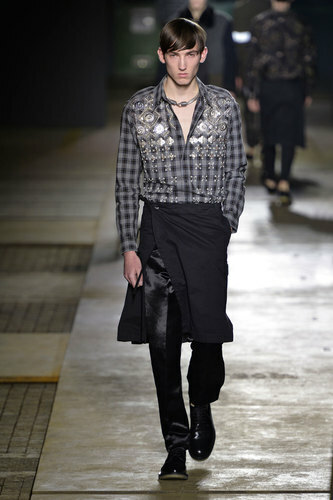 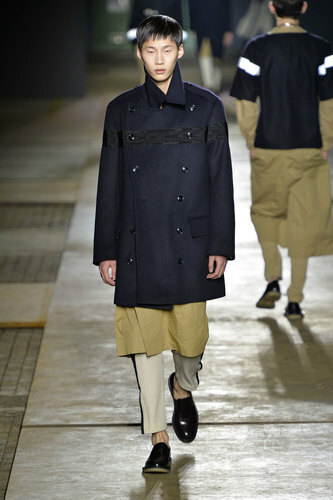 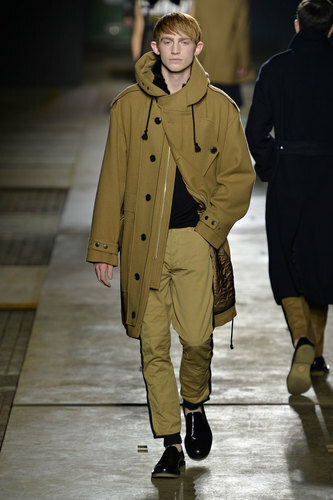 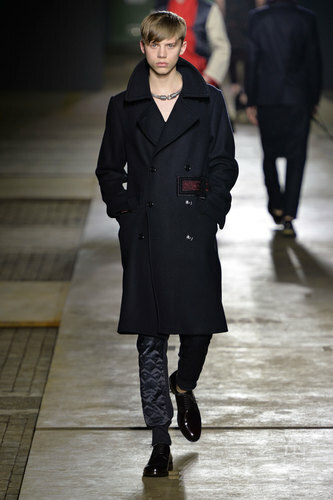 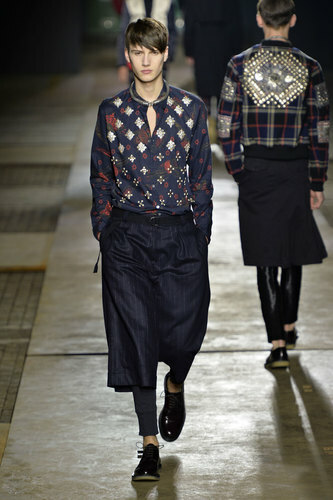 Dries Van Noten Man Autumn-Winter 2015-16 – Dries Van Noten closed the show with a definite nautical theme. 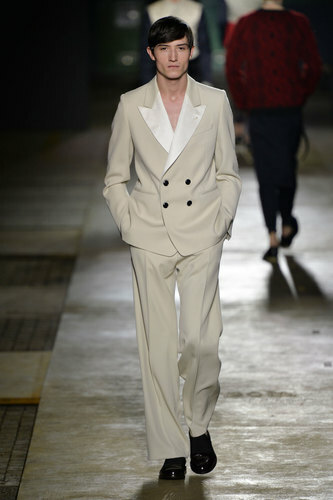 Beige, blue and white stole the show in many different combinations. 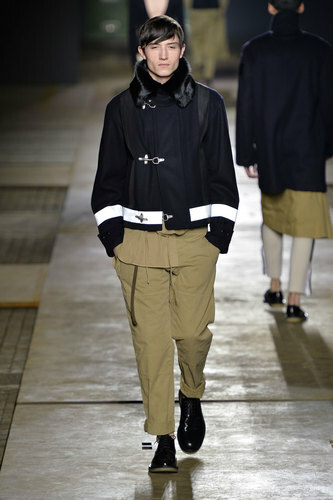 Cargo pants and shorts, denim with padded bombers and tweed long-line coats with loose fitting shirts mix up the traditional tailored trousers and stripy jumper that fits with the infamous nautical scene. 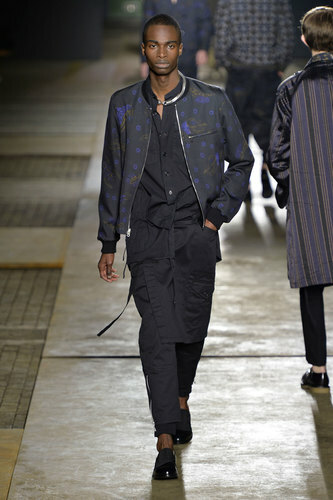 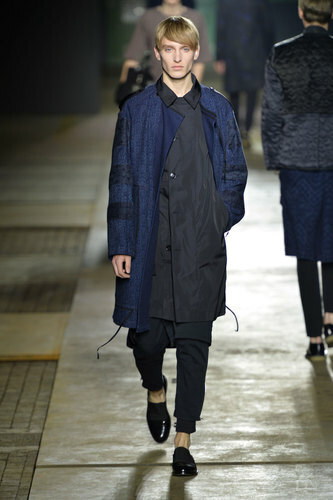 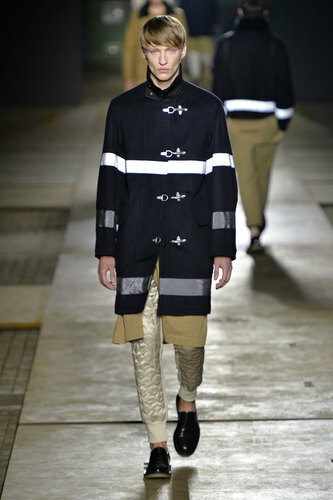 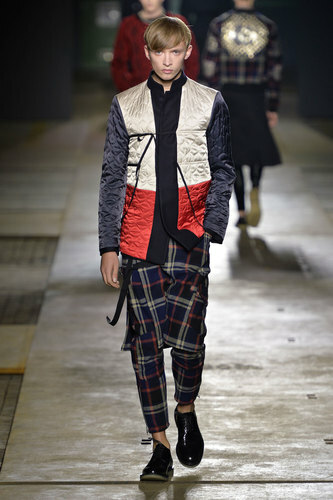 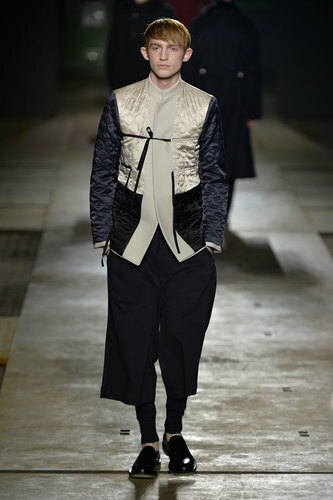 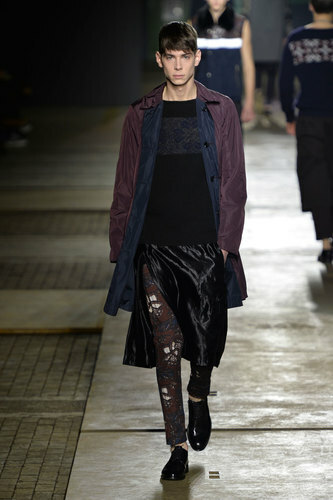 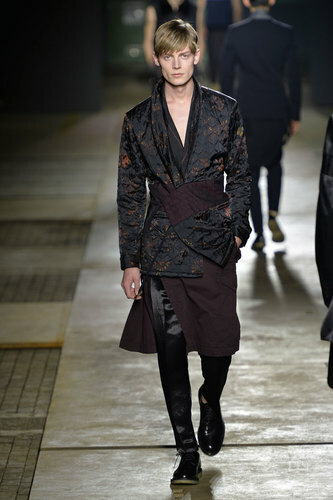 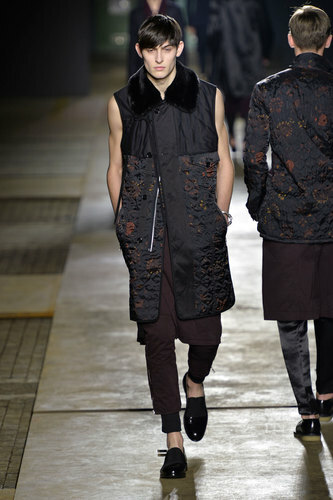 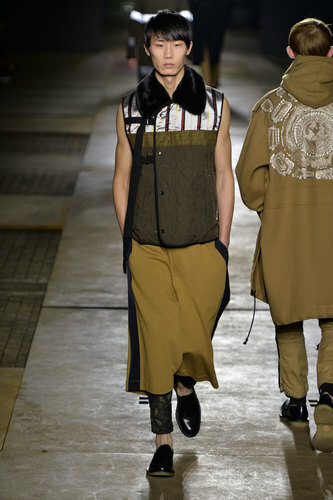 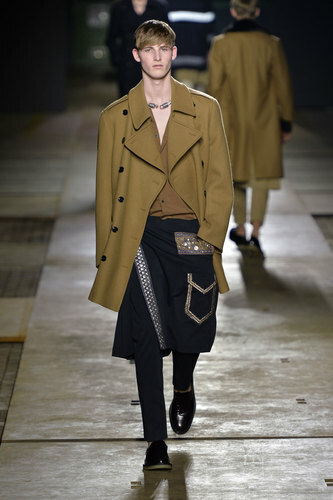 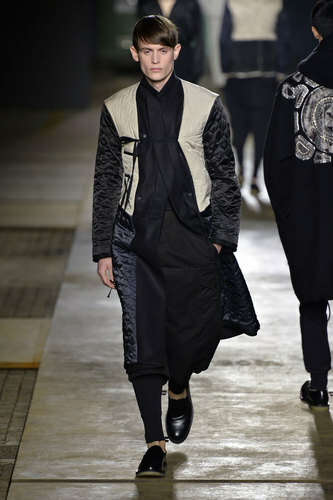 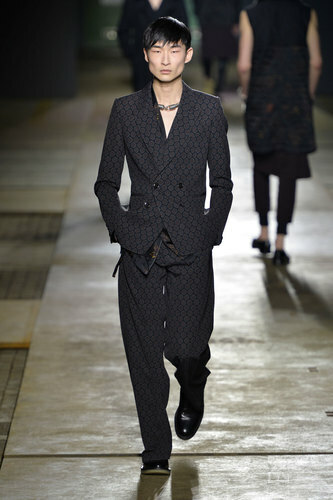 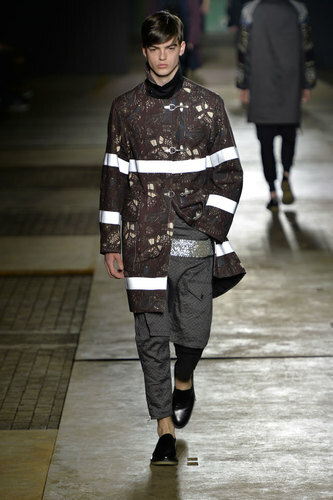 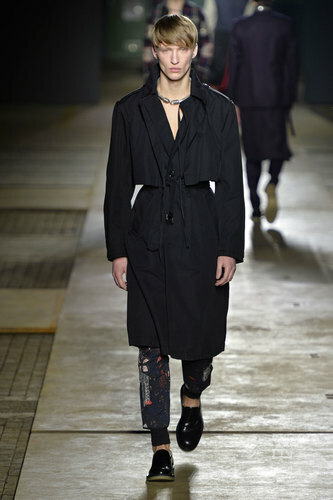 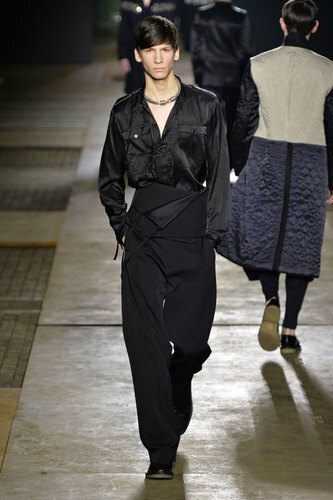 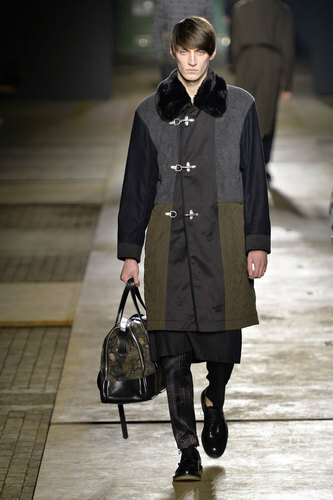 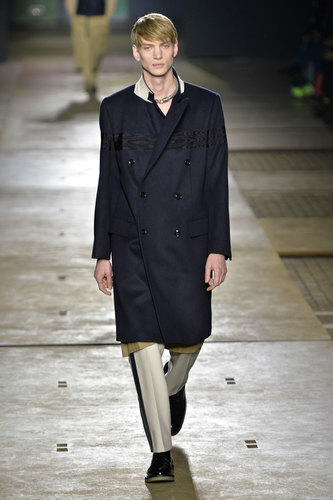 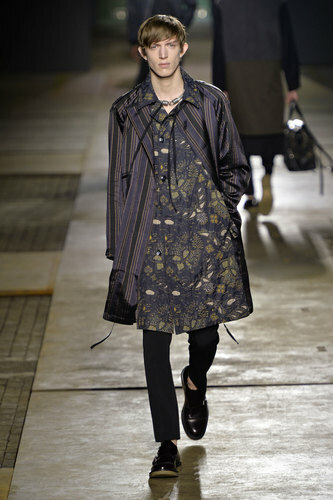 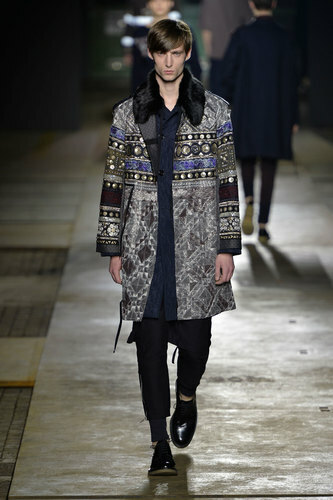 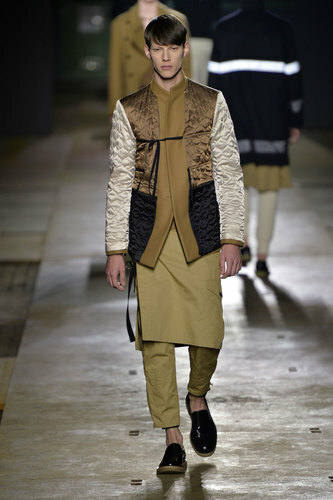 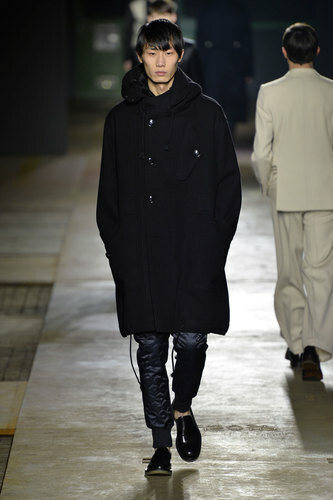 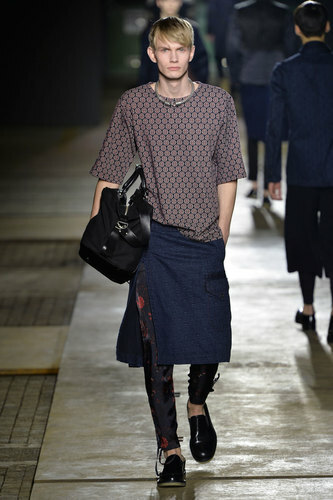 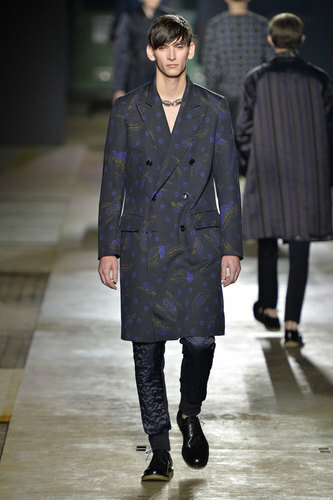 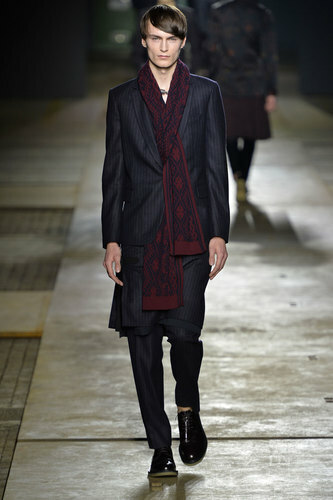 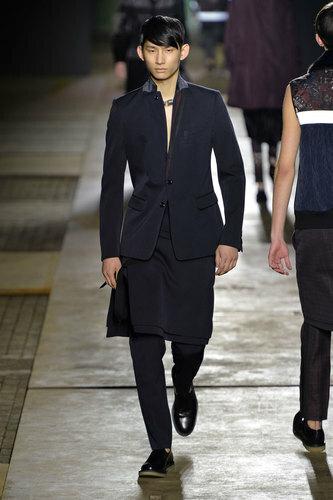 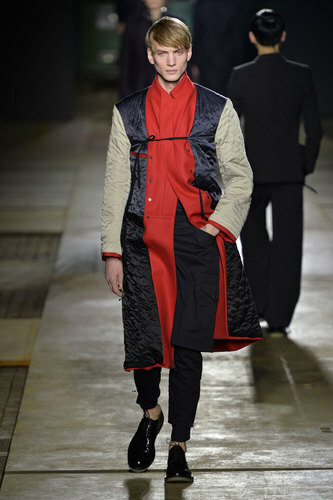 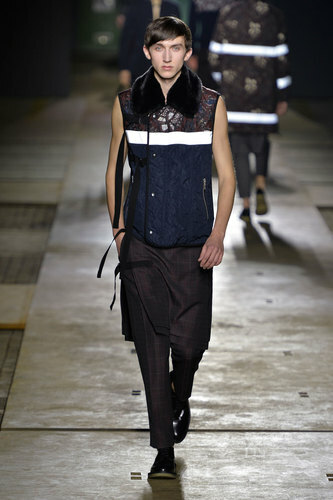 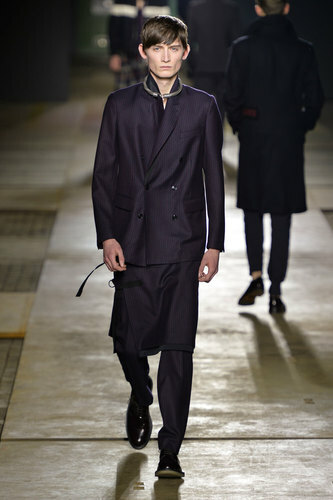 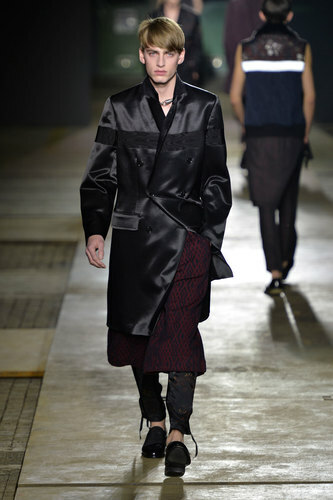 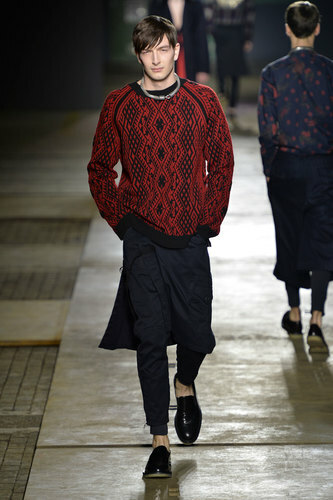 Dries Van Noten highlights the richness of multi-tones in blues and beiges by offering a darker option. 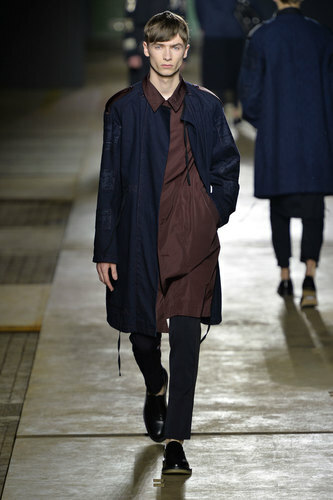 Darker and richer tones over the autumnal seasons compliment the weather outside without being too forceful. 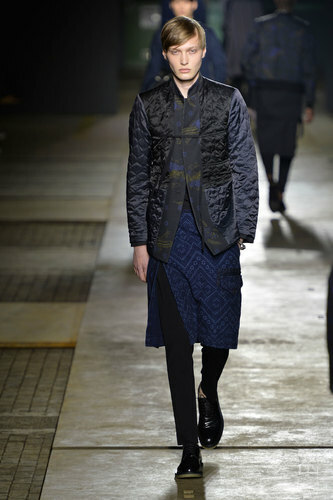 Navy blue with golden patterns and embroidery fuses together to make a contemporary yet effective finish. 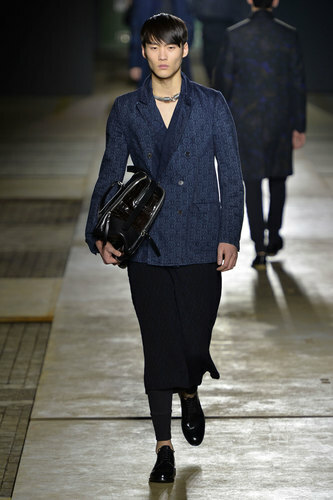 Smoking jackets and slip-on brogues remind us of earlier eras of a more refined kind; however, blended with shorts layered on top of trousers brings the eras together to make it more modern and exclusive for the traditional man. 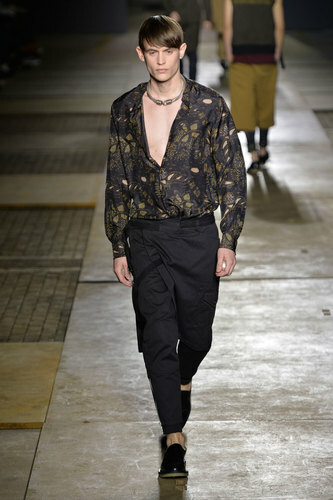 Another item to look out for, for men this season is the choker necklace; kept simple with nothing too intricate just touches up the open collared shirt and creates the focus for the rest of the outfit.